Black Rainbow : Regan Gentry. 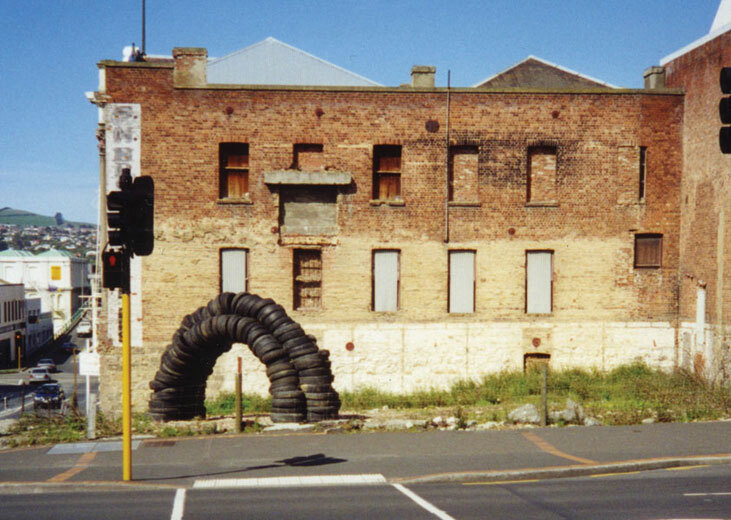 Arch of 145 tyres erected on the politically loaded site of a tyre shop that was never built. Tyres, steel, rope. Three week duration. 2.5 x 5 x 1.2m. Ex Century Theatre site. Dunedin. Black Rainbow - site location - tyres, steel, rope. 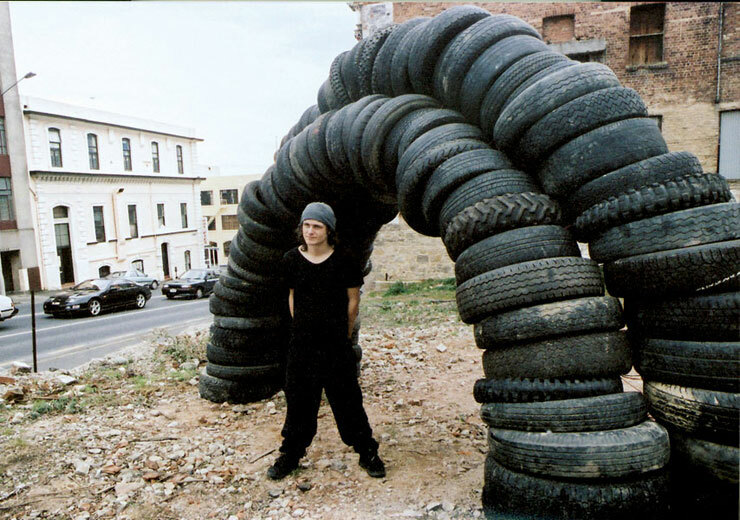 Black Rainbow - human scale - tyres, steel, rope.